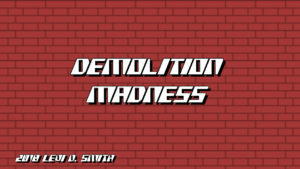 In Demolition Madness, help the construction worker climb the ladders to get to the top of the building to flip the switch to initiate the demolition of the building. Along the way, you will come across numerous obstacles. 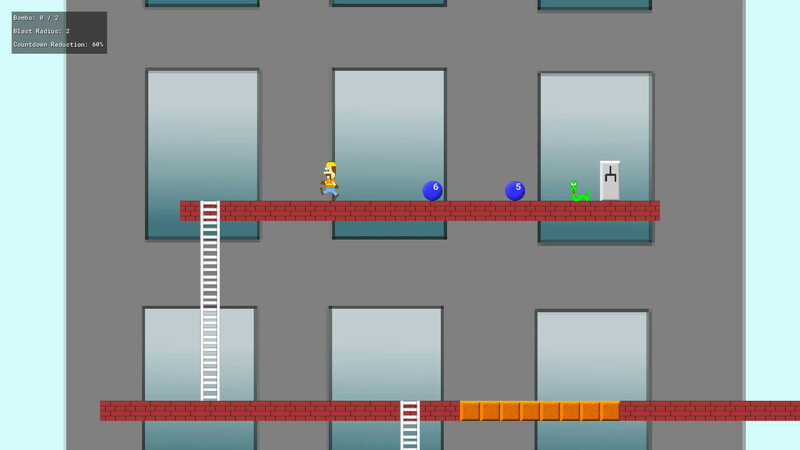 Use your trusty bombs to destroy the destructible blocks in your way. You will come across foes such as snakes and birds, which will send you back to ground level. These enemies can be defeated with bombs, but you must carefully place them as there is a countdown until the bombs explode. Powerups are available to increase your maximum number of bombs, increase blast radius, and reduce countdown time. 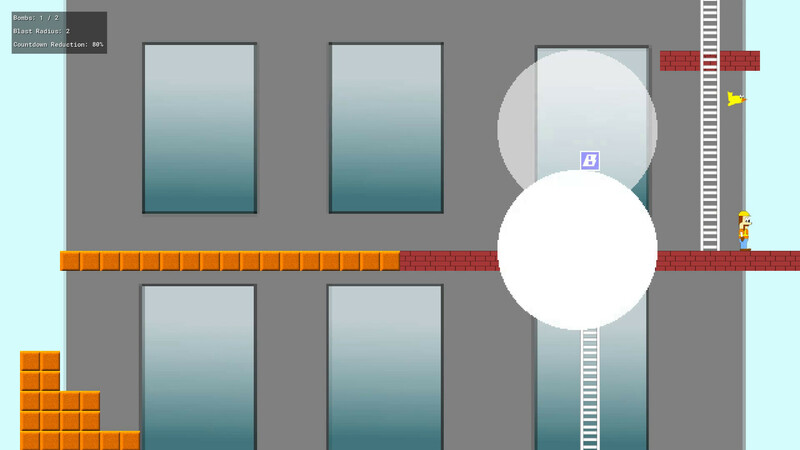 Be aware that some powerups are hidden behind destructible blocks. 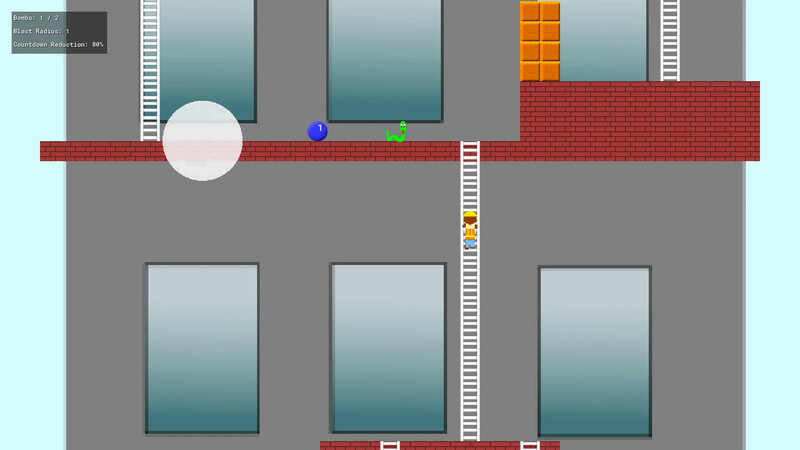 Two exciting levels to complete! Can you make it to the top? 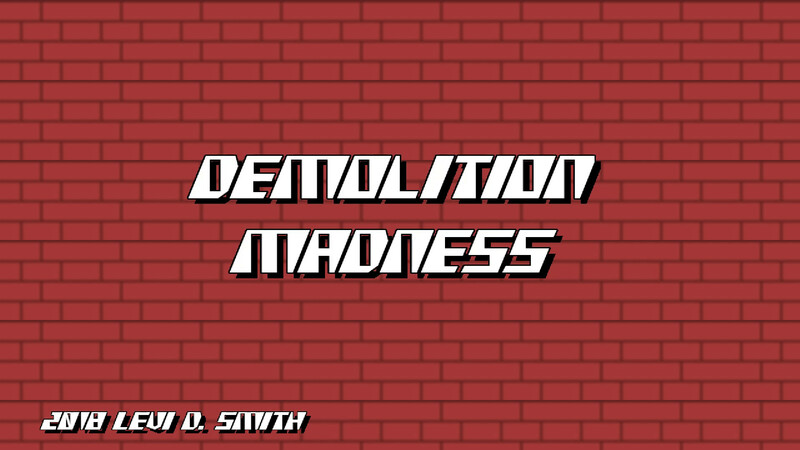 Demolition Madness is a game created with GameMaker 2 for the GM48 27th game jam. The character sprites were created in Inkscape and animated with Spriter Pro. The music was created in GarageBand on a Mac Book Pro. The sound effects were made with BFXR. The block textures and touch up for other graphics was done in Gimp. Three powerups are available to upgrade your bombs. Picking up the powerup with the “B” icon will increase your total number of bombs. Your bomb stock will replenish as your bombs explode. 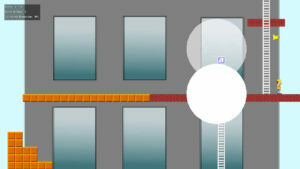 The blast radius will increase the total explosion area of your bombs, allowing you to destroy more blocks and enemies. The countdown reduction powerup reduces the amount of time that it takes until your bombs explode. There are two types of enemies, which impede your path. 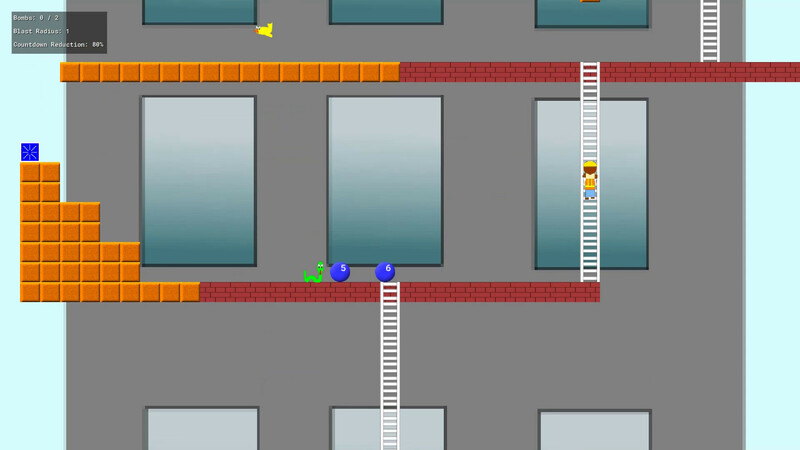 Snakes patrol a row of blocks, which are eliminated with a carefully placed bomb. 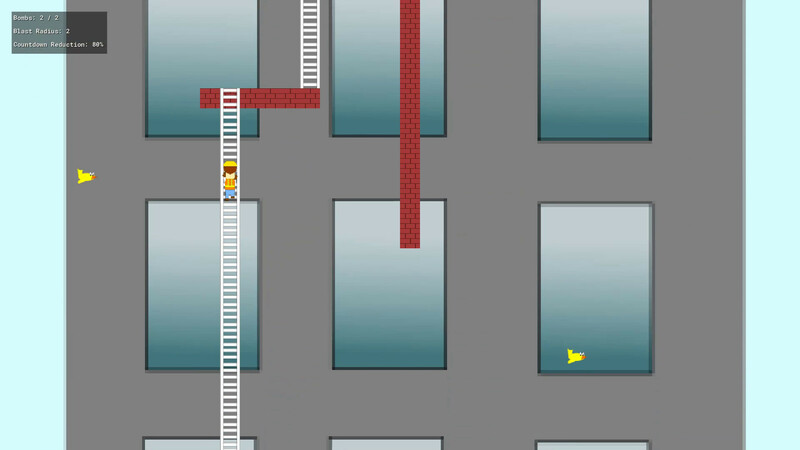 Birds fly through the air, so they must be avoided when climbing ladders. 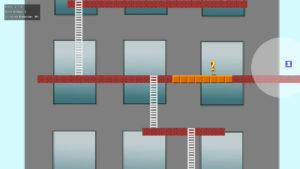 The gameplay was inspired by classic arcade games like Donkey Kong, where the objective is to climb ladders to reach the top. The bomb mechanic and the ability to upgrade bombs was inspired by Bomberman.